Three Ginger tea is everything a ginger tea should be. Rich, spicy and stimulating. 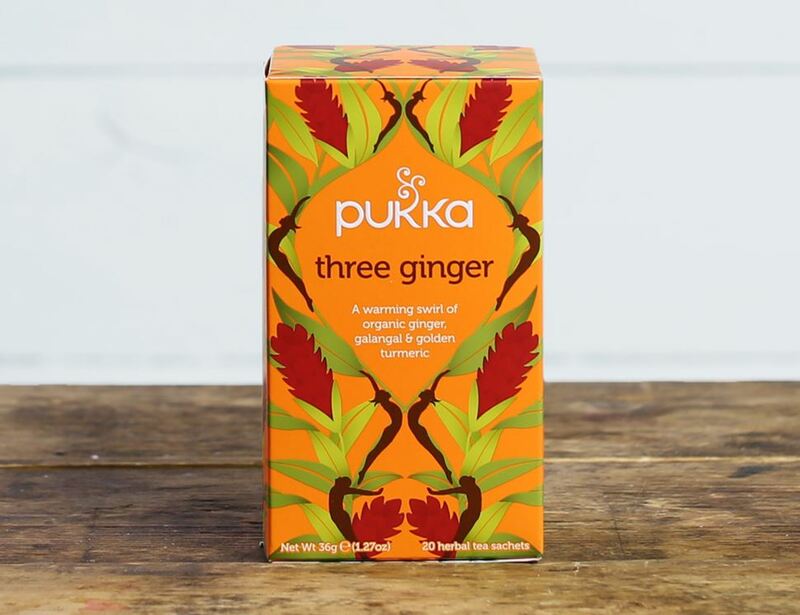 Made using three delicious roots from the ginger family to create the fullest flavour, it’s wonderfully warming and spirit-lifting. Ginger root* (51%), Galangal root* (28%), Licorice root*, Turmeric root* (4%), Natural ginger extract. * = produced to organic standards. For allergens, including cereals containing gluten, please see ingredients in bold.